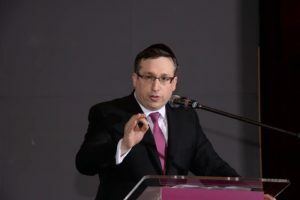 Benny Rogosnitzky , a notable cantor, is a founder of Frum Divorce, a community-support organization dedicated to helping members of the religious community cope with the emotional fallout of separation and divorce. Divorce is a negative word, especially in the religious community. Divorce represents the end of a marriage, which is a cornerstone of Jewish life. However, divorce continues to grow in Jewish communities, and it often results in stigma, loneliness, isolation and shame. While divorce can be painful for couples, it can be particularly difficult and even traumatizing for children. Benny Rogosnitzky and Frum Divorce are available to help parents and children heal from the pain of divorce in a supportive community environment. Frum Divorce provides a variety of resources and services to ensure families are not alone in their time of need. The organization offers support groups, community lectures, events and more to frum divorce families. Frum Divorce provides families with the support they need to overcome the pain and loss of security associated with divorce, so they can embark on a new and positive beginning. Learn more at www.frumdivorce.org. Aside from Frum Divorce, Benny Rogosnitzky serves as Cantor at the notable Park East Synagogue in Manhattan, New York. Prior to that, he served as Senior Cantor at the distinguished Jewish Center, also in Manhattan. As a renowned cantor, Benny Rogosnitzky promotes cantorial music and its role in prayer. He has taught many of the world’s leading cantors and continues to teach courses on traditional and modern liturgy and music. Benny has produced a variety of concerts that have been performed in New York City, London, Tel Aviv, Warsaw, and South Africa. Benny’s liturgical talents were first discovered when he was nine years old. He joined the choir of Johnny Gluck, a world famous cantor, as a child soloist. He went on to lead the High Holiday Services when he was 16. He studied Jewish Studies at Manchester Yeshiva and completed his higher education at the Royal Manchester School of Music and Art.